Following the third inter-Korean summit on September 19, Kim Jong Un made the following statement at the summit’s joint press conference. “We have agreed to proactively work to make the Korean Peninsula a land of peace without nuclear weapons or the threat of nuclear weapons.” On September 20, KCNA reported on the inter-Korean summit and the content of Kim Jong Un’s speech was repeated by the channel’s anchor, although the actual video of Kim Jong Un’s speech was not shown. This can be seen as saying that North Korea must abandon its nuclear weapons first before everything else. Perhaps because of this, President Moon Jae In, during his report to the South Korean citizenry after the inter-Korean summit, said that his discussion with Kim Jong Un about denuclearization had changed greatly since last month. The problem rests, however, in whether Kim Jong Un’s September 19 speech was targeted at the North Korean people or not. 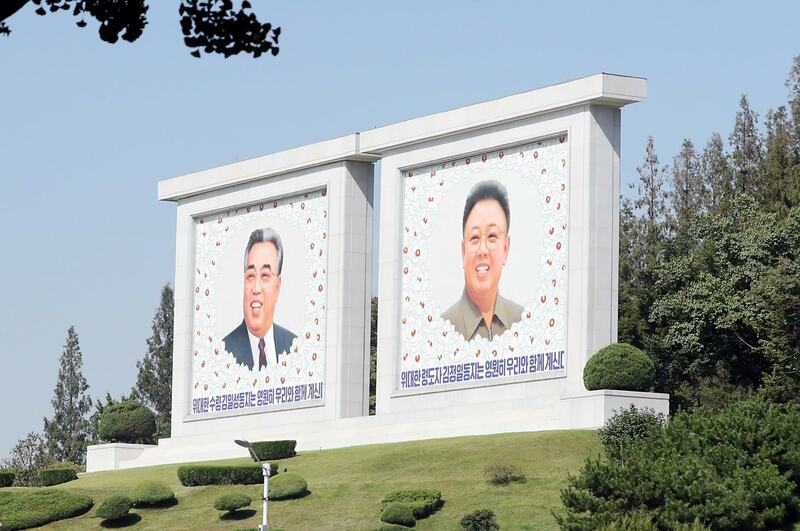 North Korea’s Suryong system places the “teachings” of the leader above the constitution and Party-mandated laws. 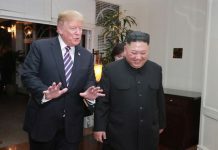 North Korea referred to itself as a nuclear state in the 2012 revision of its constitution, but during the Seventh Party Plenum in 2016, which saw revisions to Party-mandated laws – which have more legal authority than constitutional revisions – North Korea did not clearly state that it was a nuclear-armed state. The issue is that in North Korea there is a higher authority that exists apart from Kim Jong Un’s teachings: Kim Il Sung’s teachings and his “legacy.” It is clear that the “legacy rule” still has a stronghold on the country. The central point of the “theory of the socio-political organism,” which sees North Korean society as a singular living organism, is that the Suryong is the control center of this organism. However, the Suryong in today’s North Korea is Kim Il Sung, not Kim Jong Un. Many scholars have given Kim Jong Un the status of the Suryong, but North Korean official Party documents and the state-run media have continued to refrain from placing the title “Suryong” in front of Kim Jong Un’s name. Even Kim Jong Il, who was named the “Eternal Suryong” in 2012 has never been called “Suryong Kim Jong Il” by the state-run press. The state media just calls the Kims the “Great Suryongnims” or the “Previous Generation Suryongnims.” This means that North Korea’s “control centre” is still Kim Il Sung, and that the deceased leader is still ruling North Korea. The North Korean nuclear issue is closely related to this state of affairs. Just like during the Kim Il Jung-era, the South Korean delegation that visited North Korea recently told the media that Kim Jong Un clearly showed an intention to denuclearize in accordance with the “legacy of Kim Il Sung.” While it’s important to confirm Kim Jong Un’s intention to denuclearize, I think we need to focus on whether Kim Il Sung really had any intention to denuclearize and whether he left teachings or a legacy regarding denuclearization. 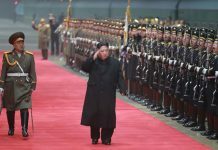 That being said, on January 1, 2018, Kim Jong Un stated the following during his New Year’s Address: “We have realized the wish of the great leaders who devoted their lives to building the strongest national defense capability to reliably safeguard our country’s sovereignty, and we have created a mighty sword for defending peace, as desired by all our people who had to tighten their belts for long years.” The “mighty sword for defending peace” mentioned here is a symbolic way of referring to nuclear weapons. It is clear, when reading Kim Jong Un’s speech, that the legacies of his father and grandfather are clearly focused on North Korea’s status as a nuclear-armed state. To quote the words of a [former] North Korean nuclear scientist, Kim Il Sung said in a secret “teaching” that “Nuclear weapons are a must for the unification of the motherland.” Kim Jong Il also reportedly said that “The unification of the motherland starts with nuclear weapons and is completed with nuclear weapons.” It is clear from these statements that making North Korea a nuclear-armed state was part and parcel with Kim Il Sung’s teachings and legacy. Is North Korea ready to face the music and denuclearize?